Mew, the Danish troupe not the Pokemon, have been around for over two decades now and have polished their live set to match their image. Tonight their set traverses the highs of their generally well-received career, splicing the heavier moments with their glossy pop in a truly satiating way. The quintet don’t exactly exude fun on stage, but a Hong Kong audience ever hungry for live music laps up their unique visual backdrop and Jonas Bjerre’s lemon-drop vocals nonetheless. Bassist Johan Wohlert gets the crowd going in time to tracks like ‘Introducing Palace Players’ which sound much fuller and less disjointed live. Though they’ve often denied their ‘prog rock’ leanings, this aspect is crystallised live with the scuzziness of tracks like ‘Snow Brigade’, which build and build until you’re enveloped in the cacophony. These are punctuated perfectly with the crisp angular pop they’ve turned to of late and even the raw rarity of B-side ‘Start’ makes the cut tonight. 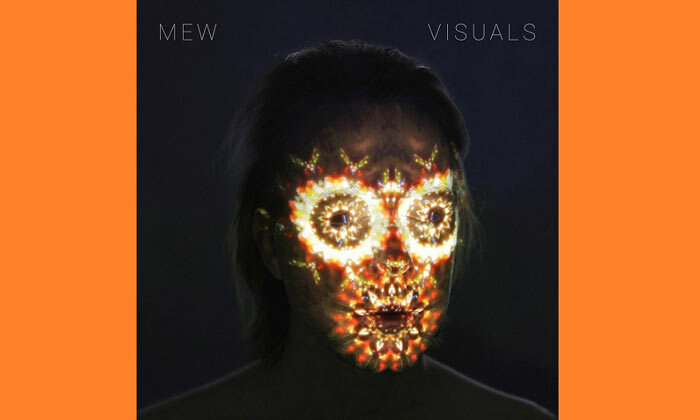 If Mew prove anything this evening, it’s that they’re much more than the sum of their parts and still one of Denmark’s most reliable exports. Mew are a moody bunch. Clad in black shirts and silence they let their technique do the talking for them. Angsty guitar driven track ‘Apocalypso’ bleeds into ‘Saviours of Jazz Ballet’, which explodes into fits of retro space-age opera before sudden chasms engulf the room. Touring their new record ‘Visuals’ of course entails a visual backdrop that is continually unnerving and heightens both the tension of their noise and the otherworldly quality of newer tracks like ‘In a Better Place’. The characters that litter the world of Mew are adorably disfigured and bring a charming unease to proceedings. They also cleverly use them to add extra instrumentation to tracks that expand the band’s traditional sound with the jazzy additions of trumpet and violin etc. Ever an interesting proposition, Mew offer a show which is constantly them – at times confusing, but always comforting.